Welcome to the Round of 64! I like pretty much every song left in the tournament, and I hope you do too. Listen to Day 6 matchups at the bottom of this playlist (except for R. Kelly), and vote in the comment section below by 11:59pm on Wednesday. #7 A Change Gonna Come (R. Kelly) vs. #10 Just My Imagination (Rolling Stones). I have a 2000-word story about how this song was the climax of my Bonnaroo 2013 experience that I’ll post here sometime. R. Kelly mesmerizes in this cover, a song that he obviously has an affinity for- it was the last song before his performance earlier in the evening. Meanwhile, the Stones rock this Temptations cover on their last truly great album, Some Girls. #8 Lady is a Tramp (Lady Gaga and Tony Bennett) vs. #9 I Know You Rider (Grateful Dead). The Gaga/Tony collaborative album won stellar reviews when it was released last year, and this Frank Sinatra cover seemed like an appropriate representative. The Dead had literally dozens of covers in their repertoire. I asked LTD voter and Grateful Dead expert Adam Sofe for a nominee, and he offered this traditional folk song, which has been recorded since at least the 1930s, most famously by Joan Baez. #7 Wake Up Little Susie (Simon & Garfunkel) vs. #10 Everlasting Love (U2). Simon & Garfunkel made no secret of their reverence for the Everly Brothers. This U2 b-side covers a dance number that’s had several turns as an R&B hit, like this one. #6 Jolene (White Stripes) vs. #11 Gin and Juice (The Gourds). The Stripes’ sizzle in this Dolly Parton cover, one of several Jolenes we could have chosen from. This Gin and Juice, often incorrectly attributed to Phish on music download sites, was a staple on college playlists last decade. #6 Don’t Cry for Me Argentina (Me First and the Gimme Gimmes) vs. #11 A Quick One While He’s Away (Green Day). The Gimme Gimmes are an all-star punk cover band and an absolute joy, specializing in show tunes and early pop hits. Some of their covers are more amusing than anything else, but DFMA is clearly a well-structured song, and I love the way this turns out. Green Day may have been the first big pop-punk group, but they borrowed a lot of vibes from The Who, whose classic they cover here. *Remember that there are four divisions of 16, hence the redundant seedings. This entry was posted in Uncategorized and tagged Music Tournament, Best Cover Song of All-Time. Bookmark the permalink. quick one 4 how many you are forgivins do they need? I love the original Change so much. Sam Cooke can crush me in the best possible ways. R. Kelly’s version is ok – but when he talking about picking it up a little bit, I got excited and then was disappointed. I bet this was really great live, but I don’t think the recording does it justice. Sorry for the hammer here. It’s just that I love Jolene so much, and this is one of the best covers I’ve ever heard (AND I actually nominated another version of the song – this cover is better, but the Little Willies does a pretty decent one too). And I’ve NEVER liked Gin and Juice. The drink, or any version of the song. I had to listen to Jolene again after I played G&J, to get the awful taste out of my mouth/ears. good battle! r. kelly is the man, but i dig this stones cover. never heard it. Jolene – 5.0 So many better versions out there! Don’t Cry for Me Argentina – 5.0 Madonna is crying somewhere! Split decision to start off the night. The Dead has done notoriously poorly in these tournaments, but all three of us were feeling them. I guess Susie just isn’t that interesting of a song. We were split on U2. We all liked Gin n Juice, but have heard it too many times to give it the nod. I’ve done a lot of LTD song-voting/ranking and this is def the most piss-poor collection of songs I’ve ever (critically) listened to in a stretch. Yikes. Guess it serves me right for not nominating. Democracy and all. #7 A Change Gonna Come (R. Kelly) 7 Never really liked R Kelly, but gotta agree with Janos – he’s got a heck of a feel with this song. Almost as good as the original, though i suspect its only because of the live feel. Usually agree with Orce on live music, but thought this was a good exception. #10 Just My Imagination (Rolling Stones) 4.5 Never been a big fan of this one. 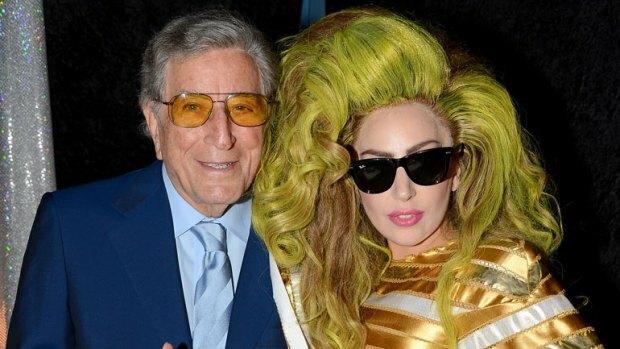 #8 Lady is a Tramp (Lady Gaga and Tony Bennett) 6.5 Was really enjoying, just honestly too short. #9 I Know You Rider (Grateful Dead) 5.5 Not bad, just not really in the mood. #7 Wake Up Little Susie (Simon & Garfunkel) 3.5 Love the original song, but for some reason this made me want to cave Simon’s head in. Maybe it’s just not right for a late night session review tax memos. #10 Everlasting Love (U2) 5.5 The vocals sound off, but so much more life than its opponent. Gained at least a point by comparison I think. Then got docked the same for being so damned repetitive. #6 Jolene (White Stripes) 6 Energetic, but i must agree with my illustrious progenitor – much much better covers are out there. #6 Don’t Cry for Me Argentina (Me First and the Gimme Gimmes) 8 Like the original track. Have always loved this cover since Janos first made me a Gimme Gimmes addict in 2000/2001. Great way to perk up the night’s work. #11 A Quick One While He’s Away (Green Day). 5. Had some really good parts, but meandered and dragged too long. Felt like 4 or 5 different tracks and sort of bled off the great mood from Gin and Juice and DCFMA. Will need to listen again some other time though, as i might really like it in different circumstances.